Item # 296580 Stash Points: 795 (?) This is the number of points you get in The Zumiez Stash for purchasing this item. Stash points are redeemable for exclusive rewards only available to Zumiez Stash members. To redeem your points check out the rewards catalog on thestash.zumiez.com. 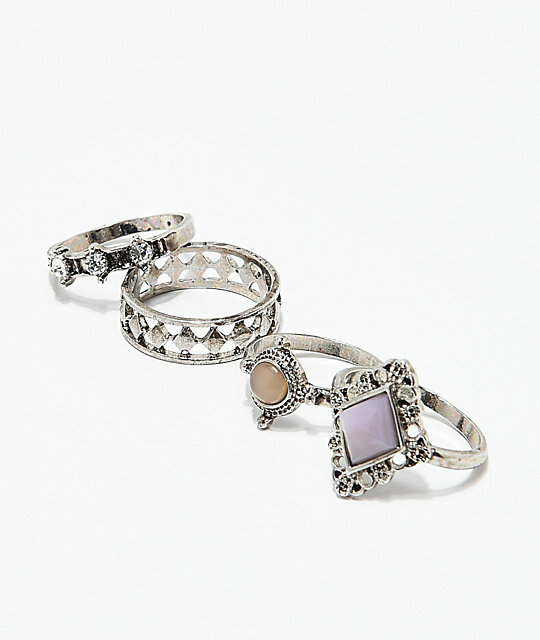 Wear one or all four at the same time with this 4 Pack of Antique Metal Gemstone Rings from Stone + Locket. This ring four pack gives you a convenient way to accessorize any look. 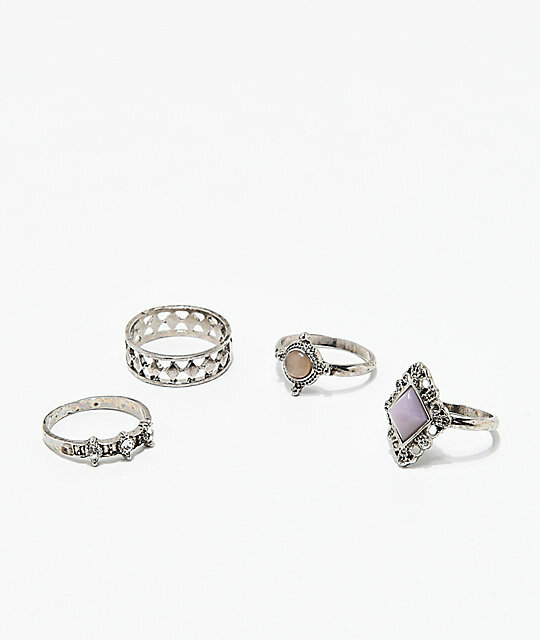 4 Pack of Antique Metal Rings from Stone + Locket. Ring set includes faux gemstones & crystals.